Auckland’s car culture is well developed. In addition to the highest concentration of exotic-ish sports cars I’ve ever seen, there are plenty of Bentleys and Rolls rolling around. And the level just below is well populated: nice Jags, Teslas, Mercedes AMGs, like that. But our budget doesn’t really run that way at the moment. Luckily, we’re attracted to cuteness as well as luxury. And since our actual needs for a car are purely recreational, we would likely end up with a Miata or something if we decided to buy a car. Recently we’ve seen a couple unfamiliar models and thought, wow, how fun, we could get one of those! But no… read on. 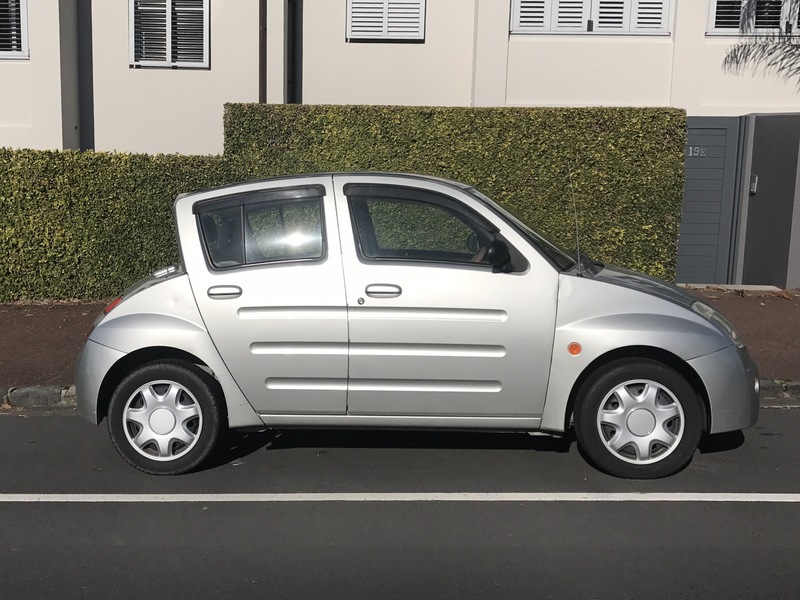 The Nissan Will VI was a production version of a concept car aimed at young people in the early 2000s. An interesting story, and a relatively rare car, not something that would work for us. 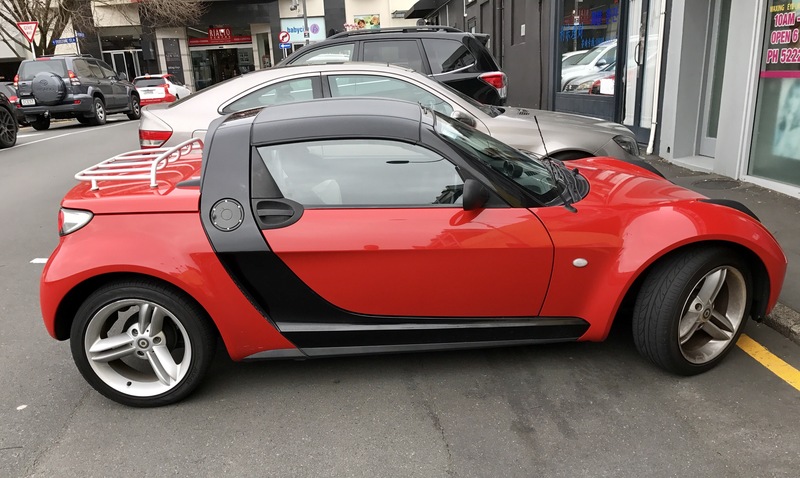 The Smart Roadster? Same type of story… doesn’t matter if we like it or not, we won’t be buying one.